Over the coming weeks, millions of new sutdents will transition to more than 5000 two-year and four-year colleges and universities throughout the United States. Several of these young people will either flunk out, drop out, stop out or perform well below their academic abilities. These students are unwittingly walking headlong into a minefield of traps. There are 6 specific traps students must overcome to thrive in college. If colleges and universities want to retain larger shares of their students and desire that they excel in school and become equipped with lifelong learning skills, then we must help them avoid or, if necessary, escape transition traps. Transitions are make-or-break moments. A smooth transition builds self-confidence, but a troublesome one can debilitate even the most capable among us. 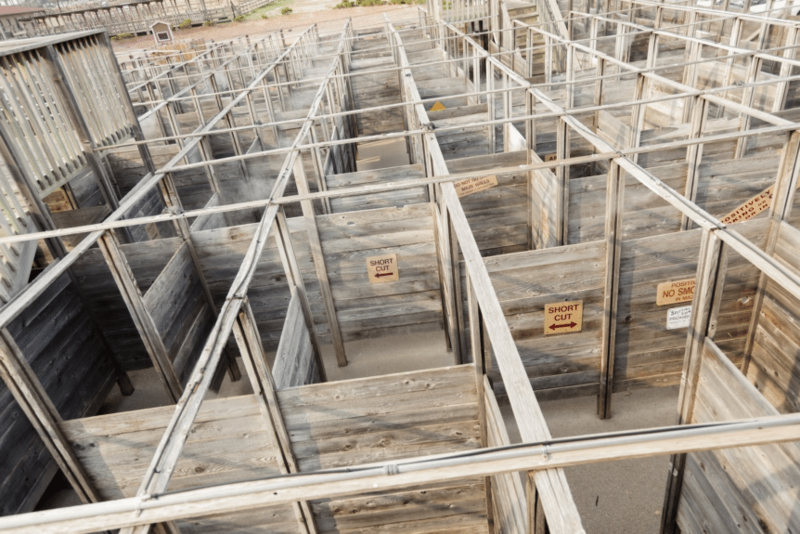 Avoiding transition traps must be a priority of each student, and helping ensnared students escape traps should be the focus of every parent, educator and institution in the early months of college. This blog post is the first in a series on Avoiding and Escaping Academic Transition Traps. In this initial publication, I introduce the six classic transition traps. These traps are part of the forthcoming Productive Learner Online Course and Managing Learning book. These are also part of the Preconditions for Learning workshop and workbook. Whenever doing any work with colleges and universities, I always start with students’ high school experiences. Research suggests that high school is a “shaper” period in students’ academic lives. During this period, an academic model is imprinted on their psyches. Whether students are 18 or 80, their high school experiences shaped their academic approaches. College is a “maker” period. It’s a stage that can literally make or break students. Their successes or failures at this level reverberate throughout their entire lives. They impact students’ choices of majors, their lifetime incomes and even their spousal preferences. Sadly, while the shaper environment does produce some excellent students, it also creates poor learners among the same individuals. This may seem contradictory, but I’m sure you’ll agree, as have tens of thousands of participants at my events over the years, that it makes perfect sense. A successful transition into college requires navigating a complex network of expectations, relationships and roles. The most perplexing factor in dealing with these traps is that each is rooted in students' previous academic successes. So, students are punished for doing otherwise good works. Here's a brief introduction to each of the six deadly transition traps. Functional traps involve the differences between the role of the educator and the nature of teaching. These traps are responsible for the negative view many students have of their professors. High school teachers excel at lesson planning. They’re experts at condensing academic content into manageable chunks and then reinforcing the content with connected activities and assignments. Professors are deeply educated in their fields, not in lesson planning. They expect students to dissect the topics and figure out the most important information themselves. So, a great high school experience can actually set students up for failure in college. Structural traps refer to the differences between precollege and college workplaces. These traps deal with where the real work takes place. During high school, students are in school about 7-8 hours per day; the classroom is their primary workspace. In college, students are in class about 3-4 hours per day. This is about half the time as high school. In this environment, students receive information in class but must develop it away from class. The 50% decrease in in-class instruction shifts the locus of learning from inside to outside the classroom. Operational traps encompass the logistical differences between the precollege and college worlds. These traps are the reason students are deceived into believing their final grades will be significantly higher than their mid-term grade. High school uses a frequent scoring model. 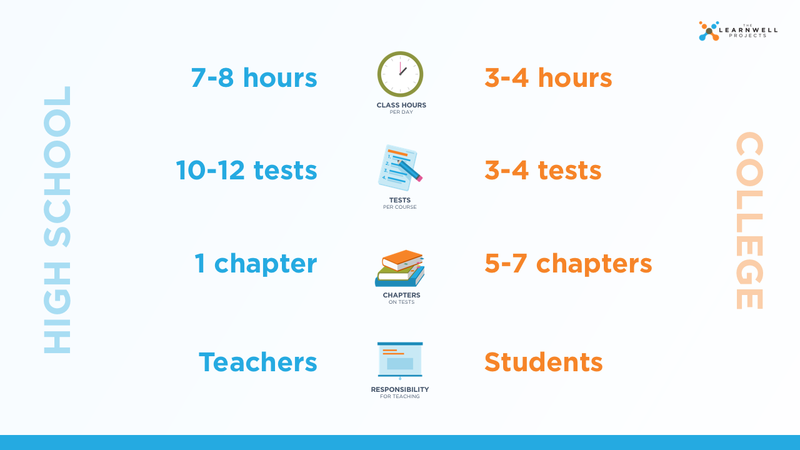 The high number and close proximity of tests enable students to operate with clear performance metrics. College tests are fewer and farther apart. The low number and time distance between tests require students to operate with lots of uncertainty for long periods of time. The operational shift between the two different scoring models often blindsides new students. Those who don’t quickly resolve this dilemma are forced to consider withdrawing from courses, changing their majors or worse. Workload traps refer to differences in the volume of information between the precollege and college worlds. These traps are responsible for those common instances where students complain that they don’t have enough time to do the required work. High school covers less material and requires a shallower base of knowledge. College courses cover much more information and require students to construct deep knowledge products. The greater volume of information, combined with a requirement of deeper conceptual and theoretical knowledge, demands that students apportion their time differently and use a more complex set of thinking skills. Students must fully understand the vital relationships among information volume, thinking skills usage, and time apportionment. They also must take deliberate steps to adjust to the workload. Studying more is not the answer; it’s actually part of the problem. Cognitive traps refer to differences in mental skills needed between the precollege and college worlds. These traps are at play in practically every instance of unexpected student underperformance. In high school, students can get by using a simplistic set of thinking skills. College requires an exceedingly more sophisticated set of thinking skills and cognitive processes. The stark reality, borne out by research, is that the skills and cognitive processes that facilitate success in high school will produce, with great effort, only average grades in college. This is why using the ThinkWell-LearnWell Diagram is a prerequisite for each college student. Conceptual traps refer to the different perspectives between the precollege and college worlds. These traps play roles in each of the other traps. In high school, students operate from an 80/20 perspective. In college, students must see their environment though a 20/80 lens. Success in college requires students to undergo conceptual makeovers. Learning must look, sound, and feel differently from the way it did in the past. It’s important to note that transition traps are not deliberately set by educators or institutions, and while each trap presents a distinct challenge, one feeds off the other. 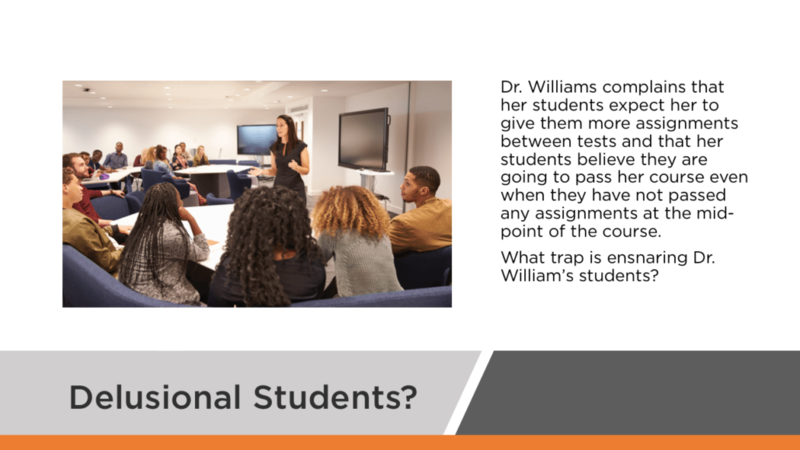 Students are often ensnared by multiple traps simultaneously. The good news is that students can avoid transition traps, and those who do get trapped can be rescued. Once we recognize the signs and can interpret students’ symptoms, we can help these learners quickly develop into the capable, confident students they envision themselves becoming -- the types of thinkers the world needs. Click here to read the second post in this series: The Big Squeeze: How Transition Traps Crust Students and Depress Retention Numbers. This brief article shares the sequence of events that transforms transition challenges into transition troubles that ultimately become transition traps. See if you can figure out which transition traps are at play in the scenarios below. Type your answers, along with the transition traps that you see most often in your environment, in the ""Comment" section. For your time, we'll send you a FREE transition trap micro-exercise. It's a wonderful tool to start a conversation about transition traps. The student who is freed from transition traps is truly free to learn! This is great food for thought. Many of the students I currently work with, transferring from seated community college programs to an online university setting, encounter similar traps. Your FREE micro exercise with the answers to your post have been sent to you! Let me know how the exercise resonates with your students. Thank you for sharing this. It will help us help our students. It looks like Darcy is stuck in the workload trap, and the students are stuck in the operational trap.